Each have a teary eye. 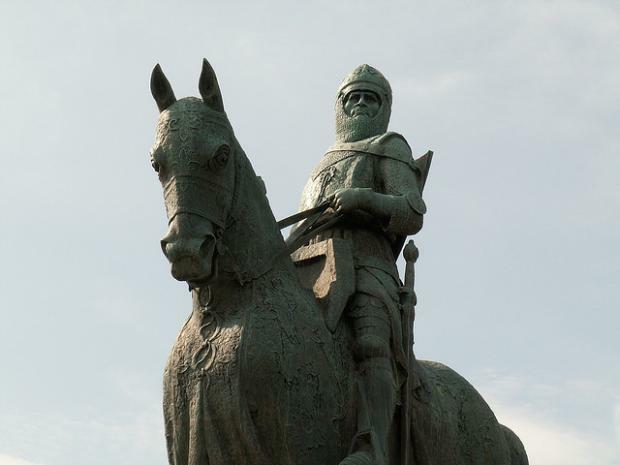 This is our web page for material about that grand day for Scotland when Robert the Bruce sent King Edward's army fleeing with a flea in its ear which not only kept Scotland independent for a wee while longer but inspired the Bard of Scotland to wax lyrical, coming up with two, what are now, well known sayings..."Now's the day, and now's the hour" and "Let us do or die"
Bruce’s address to his troops before battle in the poem ‘The Bruce’ c.1377. by John Barbour but translated because the original Scots is indecipherable to most. To humble our foes’ great pride. And are still determined to do.